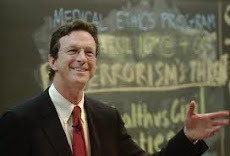 I just discovered these amazing articles on Michael Crichton. Janet Berliner interviewed Michael Crichton for a week in December 1993. She has recently posted these articles about the interviews. There are many great quotes from Michael Crichton that I’ve never read before. This is such a treat! A huge “Thank You” to Janet Berliner!